BERT Elliott has organised many bronze sculptures to be imported into Australia - but none have touched him the way a sculpture of an Egyptian terrier has. "This is a fantastic story," he said. 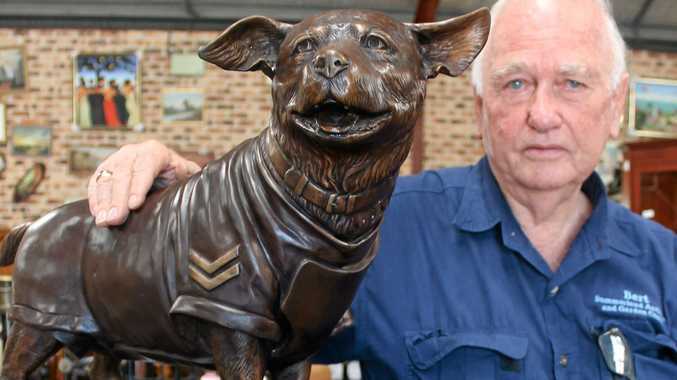 The owner of Ballina's Summerland Antiques and Garden Centre is talking about the story of a dog nicknamed Horrie the Wog Dog which became a Second World War hero. Bert was commissioned by the Man from Snowy River Museum at Corryong in north-eastern Victoria to organise the life-size bronze statue of the dog. "This is the most special thing I've ever done," he said. "It's alright to do bronze elephants and fountains, but this is part of history. "I'm proud in getting it done." According to the Australian War Memorial website, Private Jim Moody, from the 2/1st Machine Gun Battalion, in 1941 found a puppy in the Ikingi Mariut part of the Western Desert in Egypt. Horrie became the unofficial mascot of the battalion, travelling with them from Egypt to Greece, Crete, Palestine and Syria, then to Australia in 1942. Horrie also protected the men, acting as a guard dog and reportedly gave the troops early warning of the approach of enemy aircraft. The dog even survived the sinking of the ship Costa Rica on which the unit was being evacuated from Greece to Crete, and was wounded by a bomb splinter in Crete, which was removed by a knife. Such was the care the troops gave Horrie, he was issued with a coat cut from a service dress to keep him warm. Pte Moody smuggled Horrie into Australia when the battalion arrived in 1942. The story of the dog was going to be published by Ion Idriess, with Pte Moody vowing to use the publicity Horrie would get to help the Red Cross' fundraising. But this alerted quarantine officials to the dog's history, and they were adamant Horrie had to be surrendered. And it seemed the troop's four-legged mate was put down on March 12, 1945. But there is a twist to this dog's tale. Anthony Hill, in his book Animal Heroes, claims a look-a-like dog was surrendered in Horrie's place and Horrie lived out the rest of his life near Corryong. The Australian War Memorial has Horrie's uniform and travelling pack in its collection. 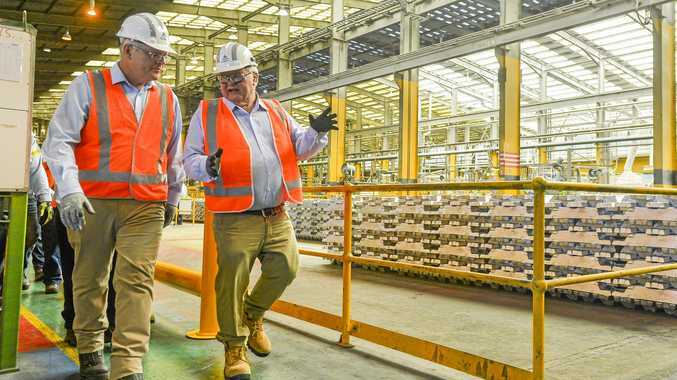 Bert was approached to organise the bronze statue by a member of the Man from Snowy River Museum committee who heard his 13-year history having bronze works made in Thailand. The museum sent photos of Horrie and measurements for the statue to be made. The project took about 10 months, and Bert is very pleased with the result. Bert said he would have the Horrie statue on display at Summerland Antiques and Garden Centre, Smith Dr, Ballina, until Sunday.